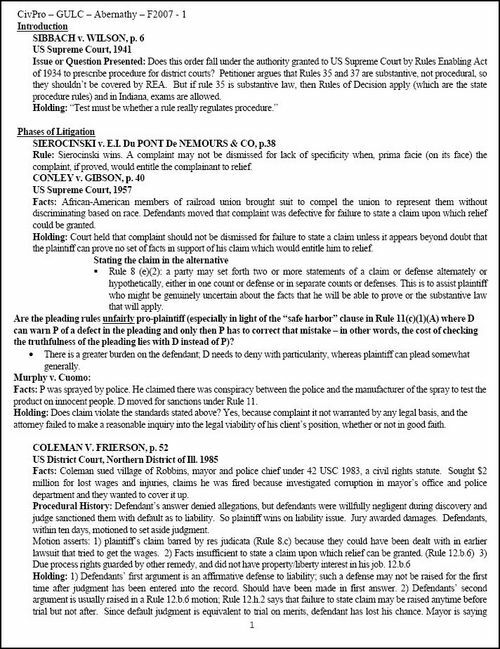 This 36 page law school outline is from Professor Abernathy's Fall 2008 semester civil procedure course at GULC. When you order this outline you will immediately receive an email containing links to the file in both PDF and DOC format. You may download both files as many times as you like for three days. to see the entire list of available law school outlines.